Recent exposé on Trump’s business practices shows candidate is in it for himself and hiding the truth about how he is selling-out Ohio workers. 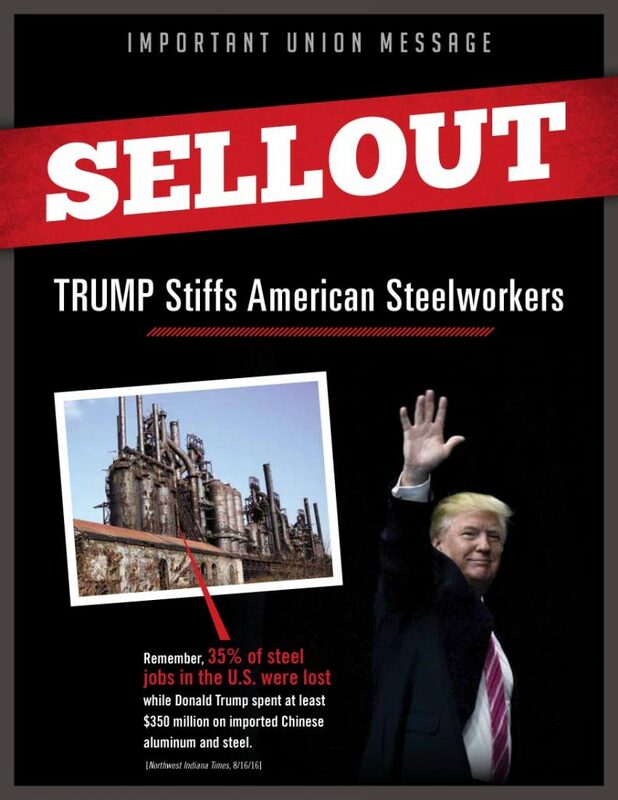 Columbus, OH – The Ohio AFL-CIO today released a new mailer that hits Donald Trump on the recent revelation in a Newsweek article that he outsourced the steel and aluminum materials used in his building projects to China. “Donald Trump talks tough on trade but a Newsweek investigative report shows he has been using Chinese steel and aluminum on his construction jobs for years,” the piece reads. 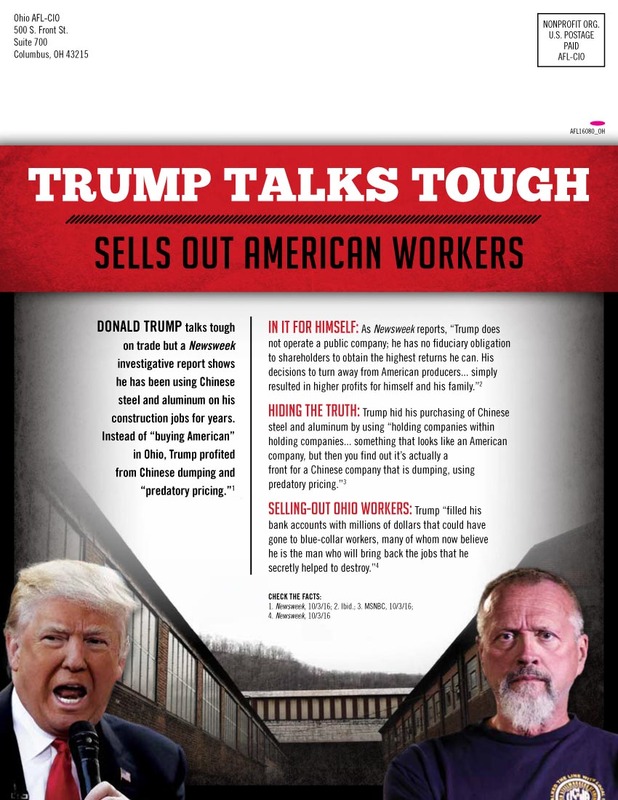 “Instead of buying American in Ohio, Trump profited from Chinese dumping and predatory pricing,” the mailer asserts. “As more of these facts surface about Trump’s business practices, the more his candidacy is undermined by the truth.,” said Ohio AFL-CIO spokesman Mike Gillis. “Trump presents himself as a solution to the problems that unfair trade has created for the steel industry, but it turns out that he is a big part of the problem,” Gillis said. “These recent revelations underscore the point that we have been communicating to working people across the state, that Donald Trump serves himself, no matter how it stiffs Ohio workers,” he said. This first flight of mailers will go to about 125,000 Ohio voters this week. See PDF of mailer here.